The Vice - Chairman, Senate Committee on Media and Public Affairs, Senator Ben Murray - Bruce, has said that the Senate may set up an ad - hoc committee on resumption from its one -week recess, to probe the alleged mismanagement of N33bn currently rocking the Presidential Intervention Programme for the North-East as soon as the House of Representatives ad- hoc committee concluded its own investigation. Punch reports. Already, the House of Representatives ad- hoc committee, probing the alleged scam, had said Vice President Yemi Osinbajo, in his capacity as the chairman of the programme, and the Director- General of the National Emergency Management Agency, Mr Mustapha Maihaja, were culpable. The Senate spokesman spoke just as NEMA stated that the probe by the House into the N5 .8 bn Presidential intervention funds, approved by the vice president for the North- East, was shocking and should not be directed at NEMA alone. 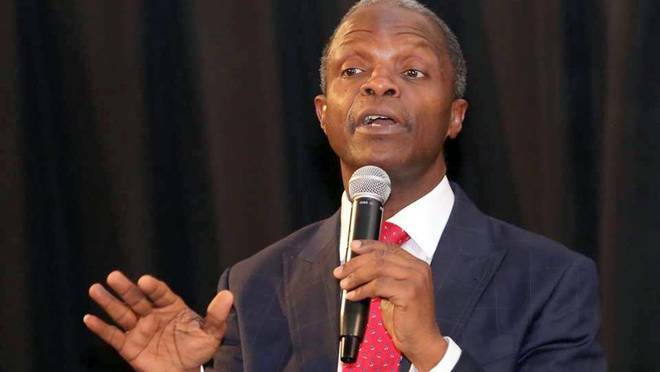 The Reps panel also specifically indicted Osinbajo for allegedly approving N5.8bn North- East Intervention Fund, which it claimed was illegal. The senate spokesman, in a telephone interview with one of our correspondents in Abuja, said the Senate would carry out an independent investigation into the issue considering the weight of the allegations. Murray- Bruce said, “It is very likely that the Senate will institute a probe into the issue but you will get the details on Tuesday. We will allow the Reps committee to finish its probe before we start our own.